Our LED display vehicles can be customizable. 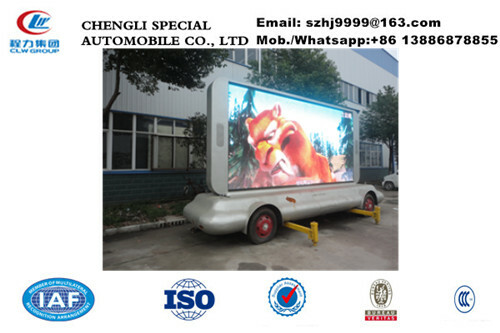 We provide LED display trucks, LED display trailer, LED display semi-trailer, etc. 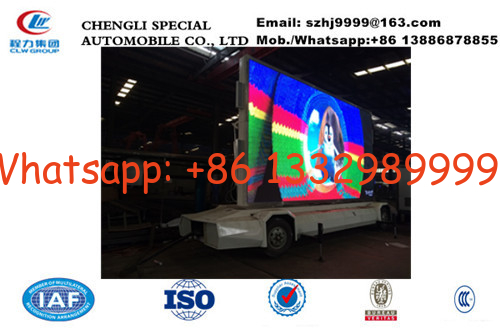 The LED display trucks could be of one full color side screen, two full color side screens, three full color side and rear screens. Any combinations are available between full color screen, monochrome color screen (usually rear side), roller screen, and hydro cylinder lifting (usually for the full color screen in left side or right side). 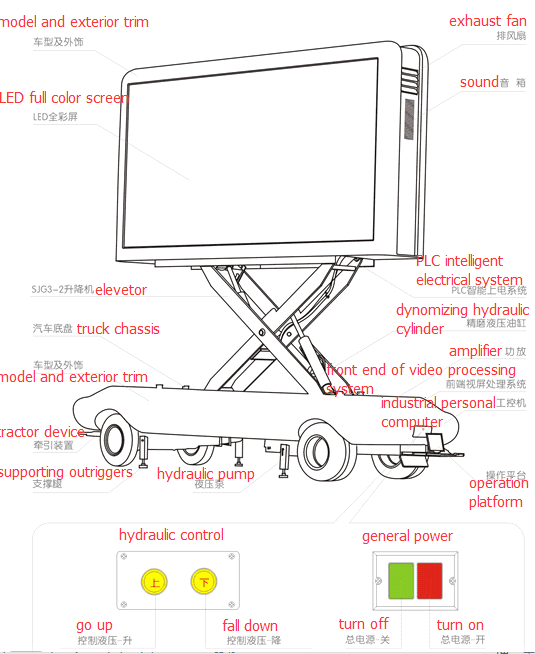 The pixel's pitch for the LED screen could be P16, P10, P8, P6, P5, etc. The area of the left or right screen mainly ranges from 3.22 m3 to 12.2 m3. The basic equipment includes silent generator, aluminum checkered plate wall, waterproof leather or wooden floors, safe and intelligent switch power distribution system, integrated electromechanical control, lighting, circulating ventilation fans, shockproof computers, and gigabit media control system, stereos, one amplifier, four waterproof column loud speakers, and other tiny accessory facilities within the body. We provide the upper box including the basic equipmet without chassis as well as the LED screen and basic equipment so that so you could fix and install them on your chassis or your box van. 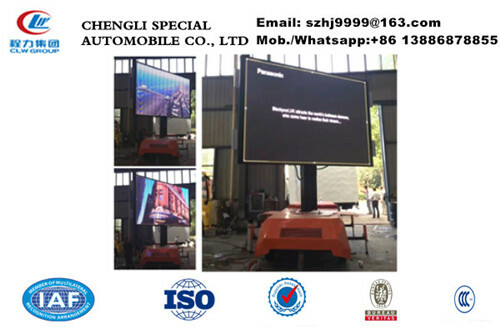 Screen Type Double screen while folding, 360 degree rotation; Use the hydraulic cylinder to push the upper half part and joint the lower half as a whole screen. Support TV Card and USB Card, 3G/4G Router Card Realise the remote televsion relay; Realise the multi features such as fixed time play,inter-cut,circulation, etc. while 3G/4G router is inserted and remoted software is installed. 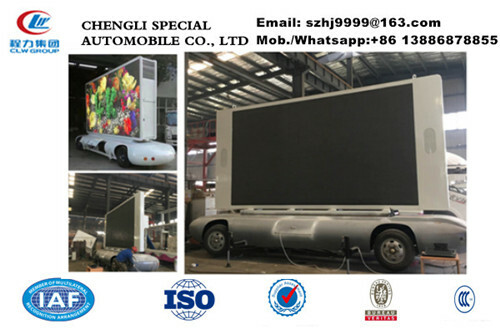 More pictures of hot sale Mobile LED advertising semitrailer manufactured by Chengli Special Automobile Co., Ltd. as below.